We believe in the value of vineyard ownership as a means of producing wines of exceptional quality, distinctive character and consistency year after year. 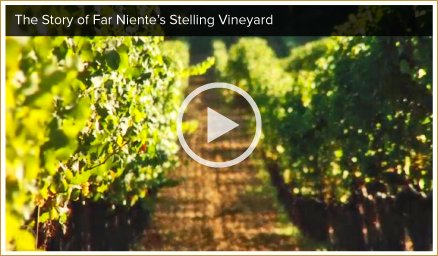 Far Niente’s largest vineyard is located behind the winery against the western hills of Oakville. The vineyard is named for Martin Stelling, the previous owner of the land, who presided over what was reputed to be the largest fine wine vineyard in the world, comprising over 5000 acres in the Napa Valley. Unfortunately, Mr. Stelling died before he was able to make wine from his holdings, and it fell to his son, Doug, to plant the vineyard in 1978. Today, the vineyard is planted to Cabernet Sauvignon and Petit Verdot on some of the most beautiful, gravelly loam soil in the Napa Valley. 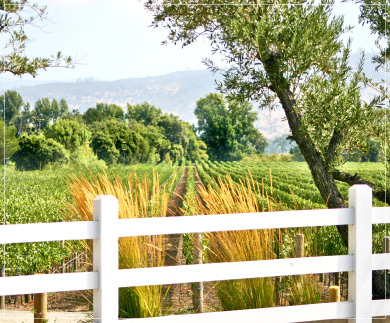 The site borders other notable Oakville vineyards, including Martha’s Vineyard, the Mondavi Reserve blocks and Harlan Estate. 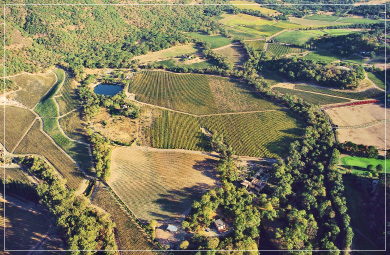 Acquired in 1998, this Oakville vineyard is located on the east side of Highway 29, directly north of Opus One, and across the road from the Robert Mondavi To-Kalon vineyard. While this vineyard estate is the home of the Nickel & Nickel winery, it also supplies some of the fruit for our Napa Valley Cabernet. The vineyard produces wines with a delicate grace, structure and elegance typical of the area. Located less than a half-mile north of Barrow Lane Vineyard in Coombsville, on a slight incline at the base of the eastern hills, the 50-acre John’s Creek Vineyard is key to our Napa Valley Chardonnay blend. The deep, gravelly loam soil and the vineyard’s southwestern exposure, account for the fruit ripening a full two weeks earlier than Barrow Lane. 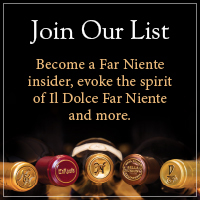 The resulting aromas and flavors add wonderful components of richness and subtle tropical fruit nuances that have long been associated with Far Niente Chardonnay. 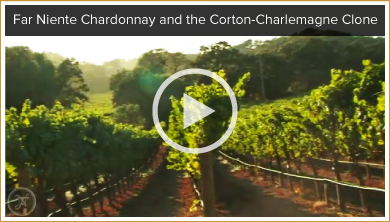 In pursuit of distinctive Chardonnay vineyards, the Far Niente partners discovered two wonderful parcels in a little-known area of the cooler, southern Napa Valley known as Coombsville. This 18-acre vineyard, located at the base of the hills east of the city of Napa, offers the characteristic climate of Carneros, with a few key differences. It enjoys the cool influence from the San Pablo Bay, but claims deeper, well-drained, volcanic soils and less wind. This gently sloping vineyard with its western exposure produces wines with a tighter fruit structure than the rich, full-bodied wines from the Martin Stelling Vineyard. The wines have proven to be an ideal blending component, providing the desired backbone and length. 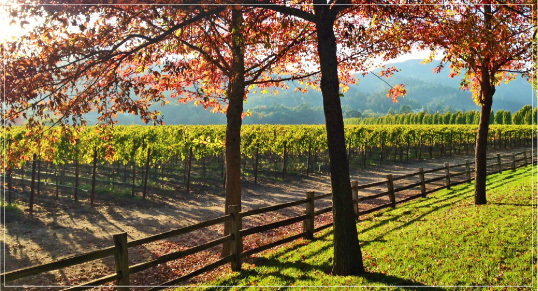 This Coombsville vineyard, adjacent to John’s Creek and situated at the base of the Vaca mountain range, supplied some of the Cabernet Sauvignon that went into the Far Niente Cabernet blend until 2001, when Far Niente became 100% Oakville Estate. In 2003, Carpenter began contributing Chardonnay to the Far Niente Chardonnay blend. The soils are composed of deep, volcanic, gravelly loam, with good drainage. Cool growing conditions, fog which hangs over the vineyard until midmorning, and a generally temperate climate allow for the grapes’ slow ripening and long hang time. The growing conditions help to produce wines of wonderful depth and cool character.